There are two reasons I read this book. 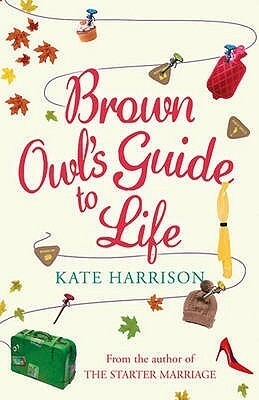 One, I've read another of Kate Harrison's book, The Secret Shopper's Revenge, which wasn't brilliant but was quite a pleasant read; and two, because I'm a Brownie Leader, and therefore an Owl myself! This was what I'm now beginning to think is typical Kate Harrison, not a gripping page-turner of a book, but perfect if you just want a quick, easy, nice read. An obvious plus for me was the reference to Brownies, but as someone who was once I Brownie myself I didn't really believe the story - I can't imagine my Six deciding to meet up over twenty years later - but maybe I was just in a bad pack! I'm beginning to judge how much I like a book by whether or not I decide that everyone else I know needs to read it, and this one I haven't passed onto anyone, not even the other Brownie Leaders I know. Make of that what you will!